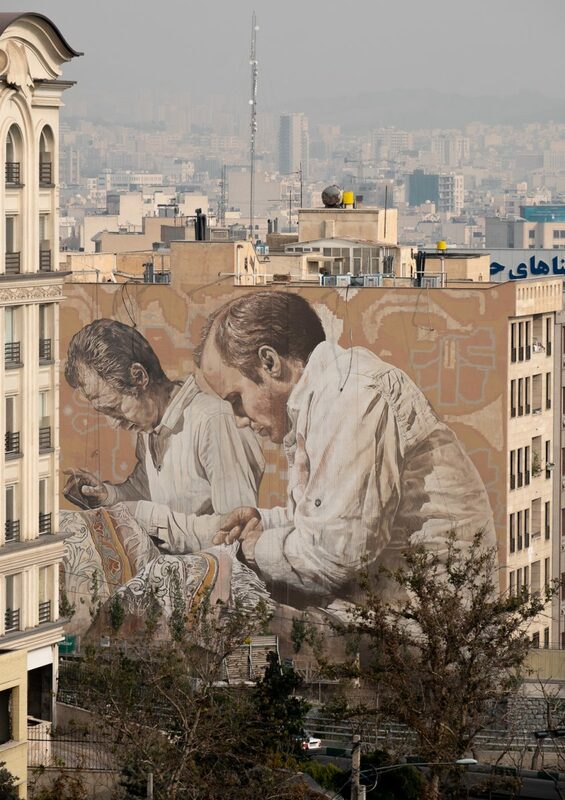 In November 2018 the two artists Fintan Magee and Guido Van Helten finished their new work „The Carpet Repairmen“ in Tehran, the capital city of Iran. This was the first time foreign artist had been commissioned to work in this particular region and also marks the 50th year anniversary of the Australian Embassy opening. 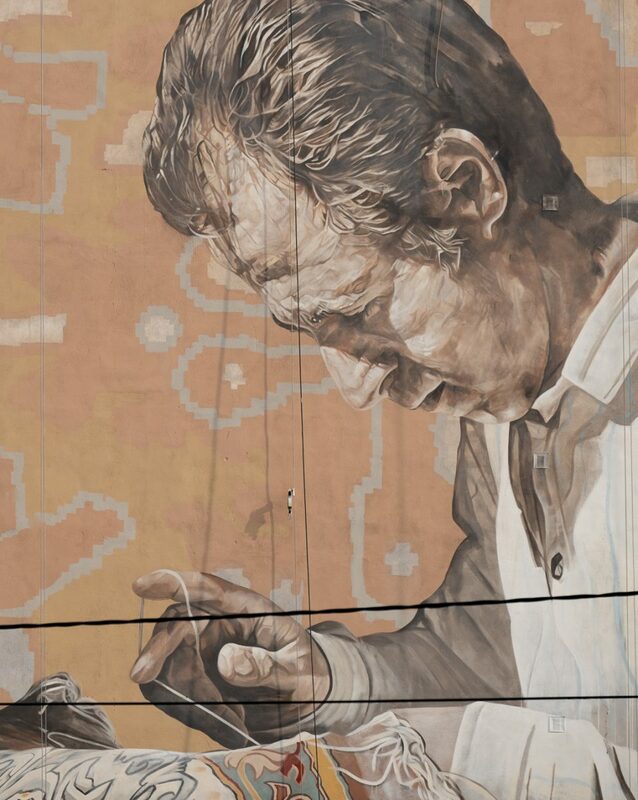 The photorealistic mural is based on images of two carpet repairmen at Tehran’s Grand Bazaar, where people work around 8-10 hours each day rethreading and stitching old and damaged carpets, which requires an incredible hand skill. 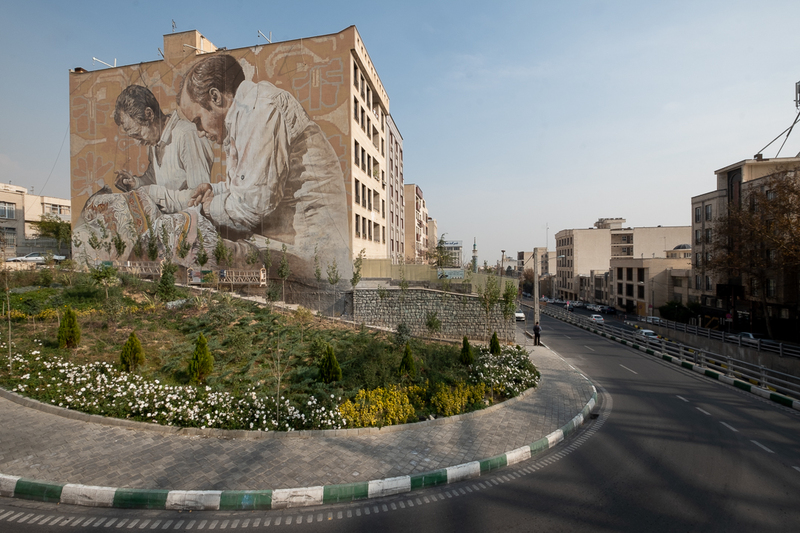 Mural artwork in Tehran has been prolific since the revolution of 1979 since many of the works address political themes and are often propagandistic. 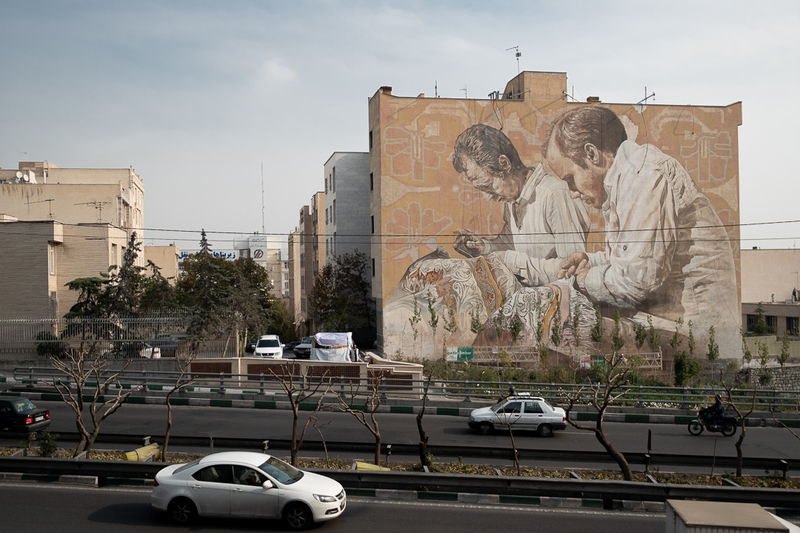 The artist’s aim in this work was to subvert some of the Iranian mural traditions and instead focus on painting from the life of everyday working people. 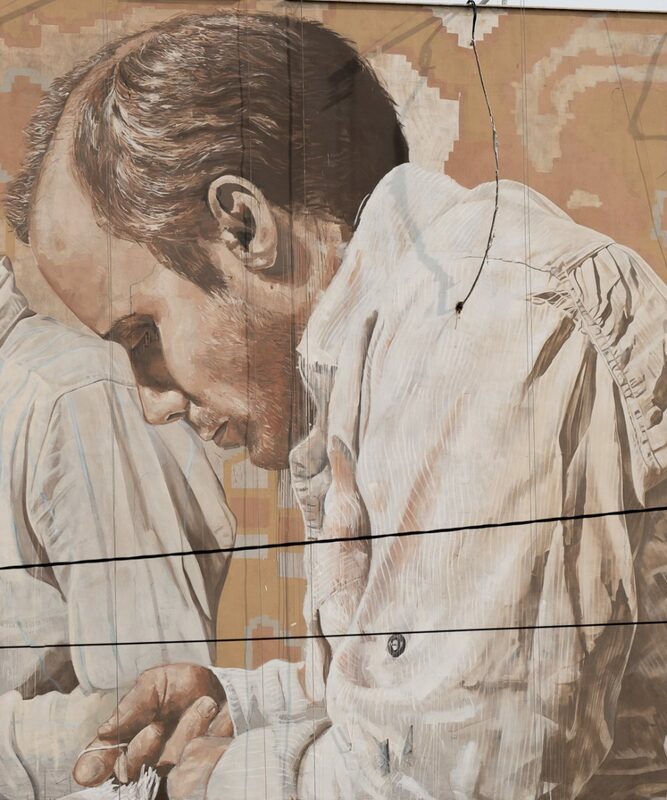 Veröffentlicht in contemporary art, Graffiti, Murals, street art, urban artGetaggt mit fintan magee, Guido Van Helten, iran, tehranBookmark the permalink.